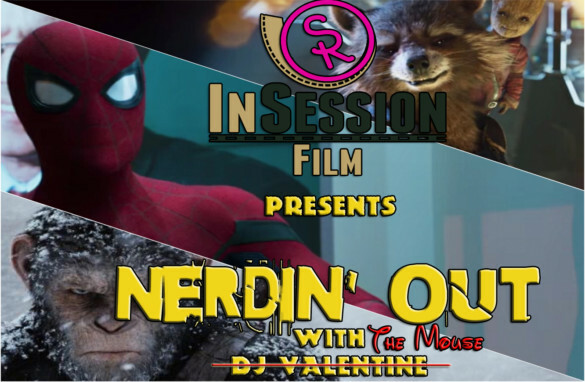 This week for our Episode 199 InSession Film Podcast: Bonus Content, Mickey Mouse drops by to brag about his 2016 and DJ Valentine joins us to discuss the new trailers for Spider-Man: Homecoming, Guardians of the Galaxy Vol 2, and War of the Planet of the Apes. Check it out! Listen to Episode 199 by clicking here.